Throwing virtual confetti here today in celebration of two clients up for the Scribe Award for Best Original Novel – Speculative: David Mack for Star Trek: DISAVOWED and Keith R.A. DeCandido for Sleepy Hollow: CHILDREN OF THE REVOLUTION! For those who don’t know, the Scribe Awards are given out by The International Association of Media Tie-In Writers to honor excellence in the field of licensed works. The winners are announced in July at San Diego ComicCon. The full panel of nominees, including great editor and writer Greg Cox, is here. I’m also thrilled to wish P.N. 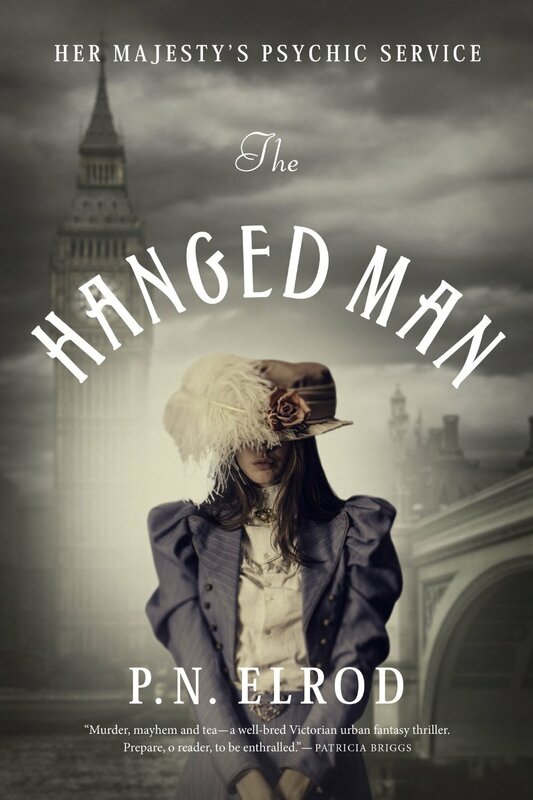 Elrod a happy book birthday for her wonderful novel THE HANGED MAN, the first in a new gaslight fantasy series from Tor Books! On a freezing Christmas Eve in 1879, a forensic psychic reader is summoned from her Baker Street lodgings to the scene of a questionable death. Alexandrina Victoria Pendlebury (named after her godmother, the current Queen of England) is adamant that the death in question is a magically compromised murder and not a suicide, as the police had assumed, after the shocking revelation contained by the body in question, Alex must put her personal loss aside to uncover the deeper issues at stake, before more bodies turn up. Turning to some choice allies–the handsome, prescient Lieutenant Brooks, the brilliant, enigmatic Lord Desmond, and her rapscallion cousin James–Alex will have to marshal all of her magical and mental acumen to save Queen and Country from a shadowy threat. Our singular heroine is caught up in this rousing gaslamp adventure of cloaked assassins, meddlesome family, and dark magic. This is how you do it, Baby!